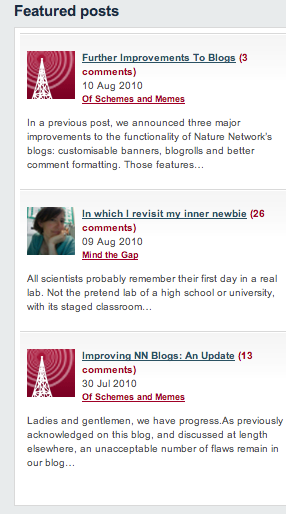 @ Cath: We need a good collective noun for blogs. A navelgaze? I suggest a “stroke” of blogs, which could refer to genius, insight, lightning, ego, or … other things. In some cases I would also recommend the collective noun “bloat”. Never mind the good writers making interesting posts, let’s tell the world how incompetent we are. At least they’ve finally got rid of the months old Local Hubs blog calling for new writers in Boston. Yes, I’m whingeing. Deal with it. I don’t see the snapshot. I had to go to the actual page to see what you were talking about, and you *know* how long that takes! Bah, humbug. So much for using twitpic to share pics. That’s what happens when you use automated scripts to punt things onto your front page. Manual curation, what a concept. I’ve heard it works rather well for some things.